Google Analytics is a popular web analytics tool that allows users to monitor their business’ marketing and conversion efforts. Aside from sales, it also gives business owners an overview of their customers’ trends and behaviors, enabling them to create and implement more targeted marketing strategies. In this article, we cover user reviews and pricing. Ready to try Google Analytics? Request for a demo. Users who gave Google Analytics a positive review said that the tool is a world leader when it comes to getting an overview of a website’s performance. Others appreciate that it’s free to use and that the information it provides allows marketers to create better strategies for their business’ website, which leads to an increase in sales and conversions. Users who gave Google Analytics a negative review commented that the tool can be a bit difficult to navigate, especially when you are not looking for something in particular. Several others suggest that users and marketers must be more specific about their goals for using Google Analytics in order to get better results. Google Analytics offers a free option and one premium suite, Analytics 360 (customized pricing), which, as per a third-party site, costs $150,000/year. The main difference between the plans is the target consumer, as well as premium functionalities such as an integration with Salesforce, advanced analysis, access to raw data, and more. Ready to try out Google Analytics? Request for a demo. Who are the typical users of Google Analytics? Among the typical users of Google Analytics are freelancers, non-profits, bloggers, small to large enterprises, and website owners. Is Google Analytics 360 the right one for me? If your website gets more than 10 million hits a month, then it is advisable that you get Google Analytics 360. Every hit represents a server request to Google Analytics. 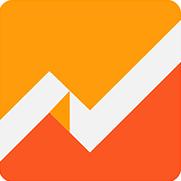 Not sure if Google Analytics is the right fit for you? Read our reviews of all top analytics software providers or check out one of these three Google Analytics competitors. Google Analytics is a helpful tool in seeing what marketing you are using is working. It shows what you need to improve upon and offers helpful ways to work on making it better. Google’s customer service is nonexistent. When something went wrong with one of our analytics, we were unable to ever resolve it due to the inability to make a direct call with someone or form to submit regarding what we needed help with. While it is a useful tool, be sure to do research and make no mistakes beforehand, because receiving help afterwards is nearly impossible. It is one of the main tools in the area of ​​analysis of our page, it has multiple tracking tools which makes it useful in many ways, it allows us to have an exact follow-up of what our users do on our page. Google analytics offers a free service for new companies or small businesses that need a service that is not expensive and meets what is necessary to improve, it also has a mobile application which makes it easier to manage and allows to do it from anywhere. It is a complicated tool to understand, complicated to handle for beginners, this could change modifying a little the menu, it has many tools that are very difficult to discover, it can take a long time to get used to. Before using this program, it is important to see a short guide on how to start, there are many videos that explain how to use it, it is enough to investigate, it is a bit complicated to understand and manage, getting used to this program can take some time. It is great to get real stats about your website and it updates in real time. You can get really in depth with it or just look at the basic metrics. 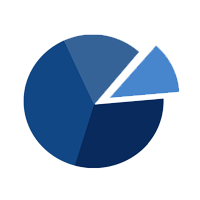 The demographics portion is also great for our business because as it helps us know who to target when we advertise. The platform seems to change every few year (for the better) but it might make it difficult for some users to find certain reports. 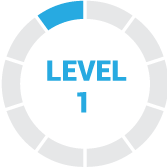 I took a training course for Google Analytics when we started fully using it which made it much easier to learn. Google Analytics is an excellent tool for analyzing web traffic. There are some limitations to the free version, but for most companies it doesn’t make sense to invest in the premium version. Be sure to properly install the tracking pixel and set up goals for best results. They have really simple forms and they do not have much specifications. As, i have always used their competitor for beautifying my app but in general google forms is much cheaper version. It comes with business accounts. We do a lot of surveys where audience doesn’t have time to fill the form so we put just enough tags to get more leads. As being simple makes it really hard to make it more creative. So, if you have to complete really short surveys then this is the best option. I am pretty much satisfied. As, we use the free version so by not investing a dime it gives us the results which we look for.